With speed, style and agile handling, the new 2018 ATS Sedan lineup at Hendrick Cadillac Cary was built for dynamic drivers in Cary, North Carolina. Their distinct exteriors can't help but to command attention, while race-inspired features and a driver-centric interior bring a new level of excitement to every ride that you take. 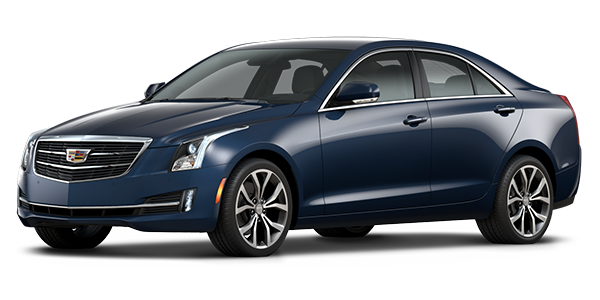 The new 2018 Cadillac ATS Sedan is where the reality of the road meets the feeling of the track, and you'll find a great selection available now at Hendrick Cadillac Cary. The dynamic performance of the 2018 Cadillac ATS Sedan is reflected in every line and curve of these innovative vehicles. As they approach, you can't help but to notice their lowered athletic stance and iconic Cadillac grille. When they're accelerating away from you, take notice of the performance dual exhaust and vertical LED rear light signatures that give the new 2018 ATS Sedan the unmistakable look of a Cadillac. Visit Hendrick Cadillac Cary in Cary to find the model that can meet all of your wants and needs today! Innovative lighting features found on the new 2018 Cadillac ATS Sedan allow Cary, North Carolina owners to see what's ahead of them like never before. Available Adaptive Forward Lighting featured on these all-new ATS Sedan's swivels the aim of the High Intensity Discharge headlamps as you head into curves, while the available IntelliBeam® feature automatically turn high beams on and off. Available illuminating door handles light up when the doors are unlocked, providing a welcome glow when you're parked in low light conditions. 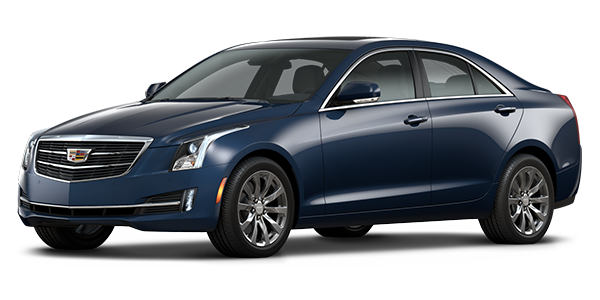 Get behind the wheel of any 2018 ATS Sedan at Hendrick Cadillac Cary and you'll immediately notice the refinement that completely surrounds you. 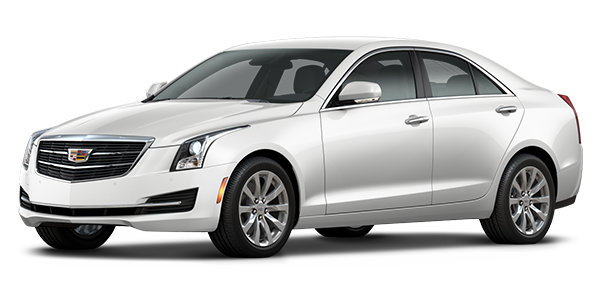 Cut and crafted to form with available luxurious leather seating surfaces, exotic woods and exquisite trims, no detail has been overlooked inside these striking new Cadillac sedans. Available Alloy Sport Pedals add a racing edge to the 2018 Cadillac ATS Sedan, with a sophisticated metallic finish that brings the interiors of these all-new models to life. 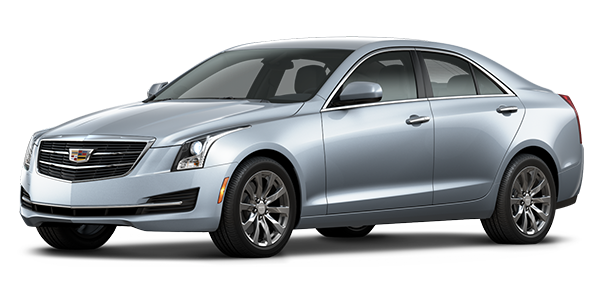 Available front performance seats in the new 2018 Cadillac ATS Sedan offer additional bolstering and even more cushioning, providing the extra support during you're looking for when engaged in some spirited Cary, North Carolina driving. New ATS Sedan models at Hendrick Cadillac Cary offer a number of hand-finished design touches that include premium materials such as available semi-aniline leather, wood, carbon fiber or aluminum that allow owners to make an immediate impression. Hendrick Cadillac Cary serves customers from Morrisville, Raleigh, Garner, Chapel Hill and all of the surrounding communities, helping them find the new 2018 Cadillac ATS they've been searching for. We take pride in the exceptional level of service that our sales personnel are known for providing, and we work hard to ensure that each individual that enters our dealership leaves satisfied. When you're ready to purchase your new 2018 Cadillac ATS, come by and speak with the friendly and knowledgeable sales personnel at Hendrick Cadillac Cary.